Both real and artificial trees pose an increased risk of fire. When choosing an artificial tree, be sure it’s labeled as fire-retardant. When choosing a real tree, select the freshest-looking tree available. Select a tree that’s an appropriate size for the room. Keep in mind that trees look smaller when they are outside and tree toppers and stands will add to the final height of the tree. Place the tree at least three feet away from heating system air registers, fireplaces and other heat sources. Try to position the tree near an electrical outlet to minimize the use of extension cords. Do not use electric lights on metallic trees. Use remote spot or reflective lights. 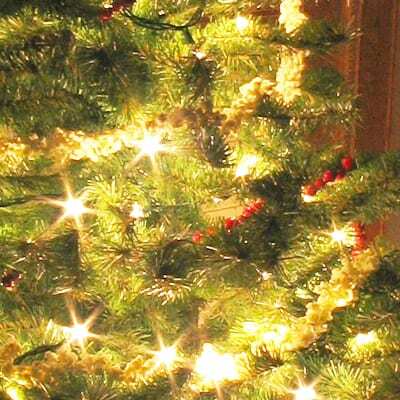 Unplug tree lights when out of the room and before going to sleep. Discard the tree immediately after the holiday. Test for freshness by grasping a branch between your thumb and forefinger and pulling it toward you. Very few needles should come off. If you don’t plan on putting the tree up right away, make a one half inch fresh cut off the bottom of the trunk and place the tree in a five-galling bucket of warm water. Store the tree in cool temperatures but above freezing. Keep the water level above the cut and check the water level daily. Initially, a fresh tree may soak up to a gallon of water a day. No water additives are necessary. Plain tap water is best.